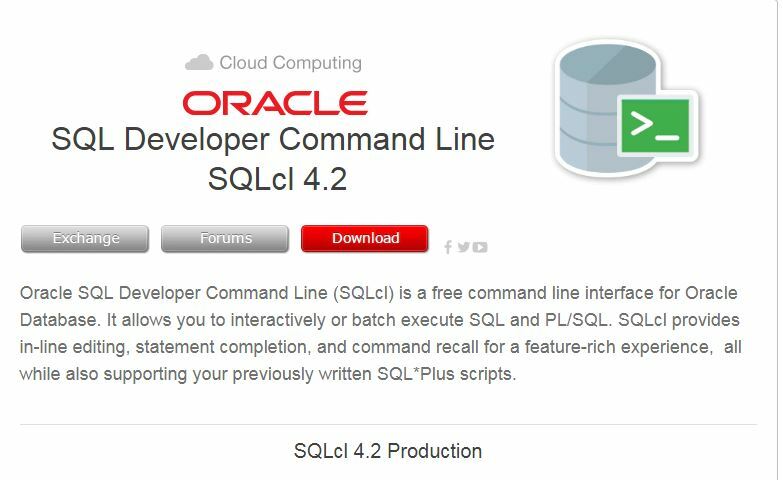 Download the sqlcl tool from oracle website. Copy that tool to the database server and unzip there. If JAVA_HOME is not set properly, then you can hit unsupported minor version error , while connecting with sqlcl. This Shows the value of a SQLcl system variable, or the current SQLcl environment. 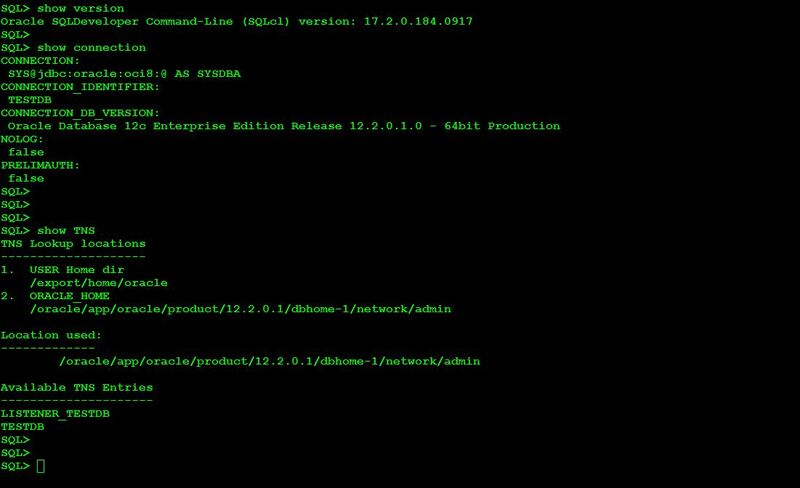 SQLcl environment. SHOW SGA requires a DBA privileged login. Setting this parameter to ON, will report all the sql commands in history, same as that of history command works at os level. REPEAT command can be used to execute particular SQL query in the buffer for n number of times at particular interval. DDL command is used to get the DDL of an object in databases, no need to use dbms.metadata.get_ddl utility. If you wish to save this DDL to a file, then SAVE keyword can be used. In the database, generally, we change the password of a user with alter user username identified password. The problem with this one is the password is displayed on the screen. With PASSWORD command of sqlcl, we can alter password without displaying it. it will be marked as **. Allows you to change a password without displaying it on an input device. INFORMATION command when used with an object_name, give details about the table structure and index, constraint information also. BRIDGE command works like a database link. i.e we can move data between databases without creating the database link. And also it supports LONG columns. If errorlogging is set ON, incase we are hitting any error, It will display the explanation of that error with cause and action like oerr tool. If we want to create a table from another table from using CTAS( with all columns or few columns,), then CTAS will come in handy. CTAS <EXISTING_TABLE> <NEW_TABLE> , will generate the CTAS DDL. And when we type EDIT, the DDL will open in an editor, where we can make changes to the table structure and save it. It can be executed to create the new table. The more we explore this SQLCL utility, more we get its usefulness. So connect to sqlcl prompt and type HELP and try new commands. I will update this article after going through other commands. I am using SQL CL utility to run a script from file. i am launching sqlcl from power script and i wan to pass the yesterday date to script. $Env:runDate = [DateTime]::Today.AddDays(-1).ToString(“dd-MMM-yyyy”), i can see its in Env variable of powrershell by doing “gci env:”. when i launched sql.exe username/password@server:port/servicename, in sql command prompt i only see PATH variable is available from above powershell’s “gci env:” list, other environment variable is lost. could you please tell me a way if i set a variable in powershell or cmd, if i can access that in sql command prompt, which we get after running “sql.exe username/password@server:port/servicename”.